The induction heating works by creating a magnetic field between the plate and the pot which is heated through electric currents: the heat that is generated has no dispersion allowing faster cooking and lower power consumption. 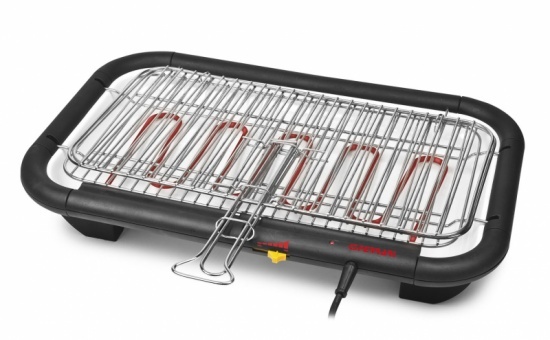 Since there are any flames and the cooking plate remains cool, the induction is also safer than conventional electric or gas burners. 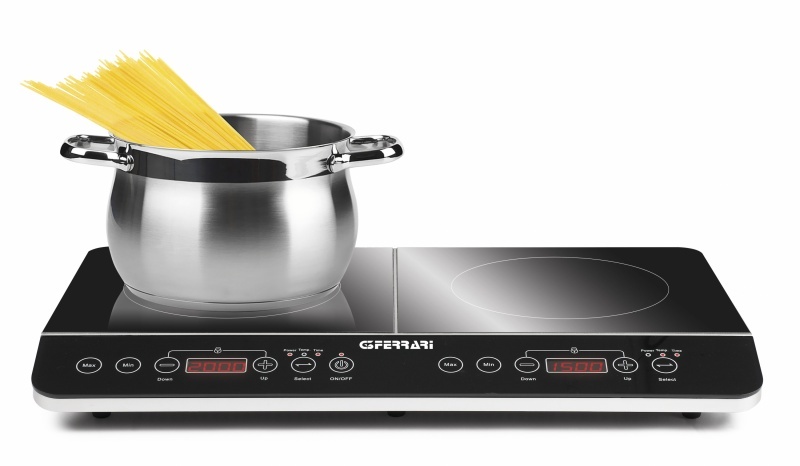 Hi-Tech Chef provides the best cooking performance, safety of use and energy efficiency: with large digital display with soft-touch controls, large cooking area which can accommodate pans up to a diameter of 26 cm and a convenient 180-minute timer, this induction double hotplate features 6 independent power levels for each plate and it includes a thermostat which can be set from 60° up to 240°C to obtain excellent results with any kind of recipe. To ensure maximum safety, Hi-Tech Chef is equipped with an anti-overheating system and it automatically turns off in case of empty pot or no pot on the cooking area. 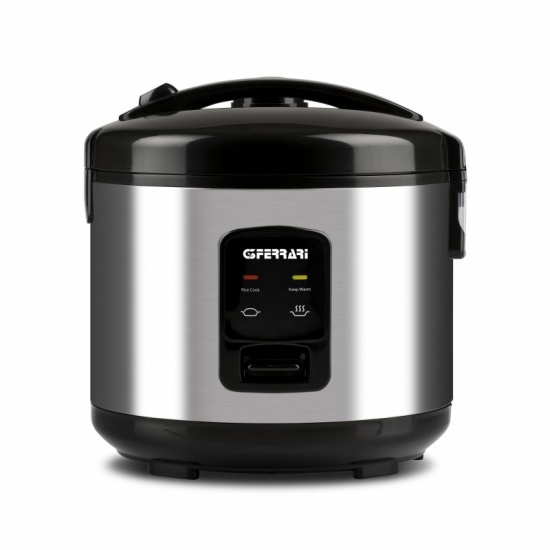 Fill out the form below to request information about: Hi-Tech Chef - G10047. Please read the Privacy Practices. I have read the Privacy Practices and hereby consent to the processing of my data for the specified aims. The tradition of G3Ferrari home appliaces is renewed with passion, knowledge and Italian style.